You can download the article in PDF format from the link towards the end of this article - but first a quicki Q&A with Tatiana. What is the perspective of Seychelles from your Russian clients? 95 % of our tourists say that Seychelles exceeds their expectations. More than 60% of clients choose to return. We consider this percentage to be very high and we are absolutely happy to often hear the words like "this is the best place in the world," "these were the most memorable vacations in our life," "we have never seen such nature and such colors," and so forth from our clients. Especially when we hear this from travelers who visited more than 100 countries in the world. Tourists are happy about warm clean water, comfortable temperature – no heat and no cold, friendliness of local people, variety of activities. People discover that in fact Seychelles is not so expensive as it is usually considered to be. 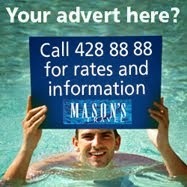 There is great choice of accommodation in different budget brackets and competitive with prices for hotels in Europe. Is there a particular location or activity that Russians tend to include in their itinerary. Russian tourists like to do a combination of the main islands : Mahe, Praslin, La Digue or if they stay at one place during 14 nights, they like to enjoy excursions to Praslin and La Digue, exploring of Mahé and cruises in Marine National Parks. 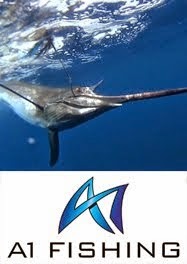 Fishermen know about the richness of the underwater world in Seychelles and they dream about trophies such as catching Marlins. The destination is very popular among honeymooners and couples wishing to organize their wedding in paradise. It is much cheaper to get married in Seychelles than in Russia. Russian tourists likes Beau Vallon beach because it is convenient and very well located close to all major infrastructure. 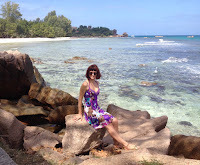 Anse Lazio is a favorite on Praslin and Anse Source d’Argent on La Digue. 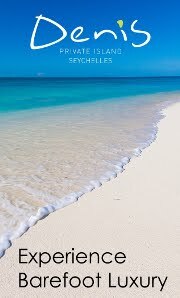 What is your favourite place & thing to do in the Seychelles. To write down numerous insights for my life. Read more from Tatiana by viewing / downloading her article on cruising and live-board travel in Seychelles, Click Here.